CAREFULLY READ THE FOLLOWING LICENSE AGREEMENT (THE “AGREEMENT”). BY CLICKING ON THE "ACCEPT" BUTTON, YOU ACKNOWLEDGE AND AGREE TO BE BOUND BY AND BECOMING A PARTY TO THIS AGREEMENT. PLEASE CAREFULLY KEEP A COPY OF THIS AGREEMENT. The package contains Motion Boutique proprietary software or bundle of software (the "Software") and related explanatory written materials ("Documentation"). "Software" includes any copies of the Software. "You" or the “Licensee” means the person or company who is being licensed to use the Software or Documentation. "We" or "Us" or “Motion Boutique“ means SARL Motion Boutique, located at 2 Impasse de chez Boisseau - 17200 SAINT-SULPICE-DE-ROYAN, France. The Software is LICENSED, NOT SOLD, only in accordance with the terms of this Agreement. Use of some third party software may be subject to additional terms and conditions. Subject to Licensee’s continuous compliance with this Agreement and payment of the applicable license fees, We hereby grant You a non exclusive and non transferable license to use one copy of the Software, for your internal needs only, for the duration of its protection by the copyright, according to and subject to the specific terms and conditions set forth below in section 2° or 3°. For the avoidance of doubt, no other right on the Software, including marketing or exploitation rights are granted under this Agreement. Subject to these terms and conditions, license is granted for the number seat(s) referred to on the invoice sent by Motion Boutique (the “Authorized Seat(s)”). (a) You may install and use the Software on a single Compatible Computer; OR install and store the Software on a storage device, such as a network server, used only to install the Software over an internal network, provided You have a license for each separate Authorized Seat/Compatible Computer on which the Software is installed and run. Except as otherwise specifically provided in this Agreement, a license for the Software may not be shared, installed or used concurrently on different Compatible Computers. Except solely for purposes of installing the Software on a Compatible Computer as described above, a license for the Software may not be accessed and used via a server or network storage device. Subject to the terms and conditions set forth in this Agreement, You shall not have more than one installation of the Software for the Authorized Seat/on any single Compatible Computer. (b) Portable or Home Computer Use for Software: subject to the terms and conditions of this Agreement, in addition to the rights granted as per other sections of this Agreement, Each individual who has been granted a license for an Authorized Seat may make one other copy of the Software and install it on either his/her portable Compatible Computer or a Compatible Computer located at his or her home for his or her exclusive use, provided that: (A) the copy of the Software on the portable or home Compatible Computer (i) is not used at the same time as the copy of the Software on the primary computer and (ii) is used by the primary user solely as allowed for such version and (B) the copy of the Software on the portable or home Compatible Computer is not installed or used after the time such user is no longer the primary user of the primary Compatible Computer on which the Software is installed. Educational license is granted only for education purpose. You therefore cannot install and use the Software to commercialize or exploit in any manner material(s) or work(s) based on and/or created with the Software. Licensee is responsible for the installation of the Software on a “Compatible Computer”, which means a computer with the recommended operating system and hardware configuration as stated in the Documentation. Licensee acknowledges Motion Boutique has no obligation to provide any upgrades or enhancements to the Software. Use of any new version other than the version referred to in the “License Grant” Section will be subject to additional or different terms and payment of related license fees. execute whatever documents are required by Motion Boutique to affect such result. Licensee shall keep the Software free and clear of all claims, liens, and encumbrances. THE SOFTWARE ARE DESIGNED TO BE USED IN CONJUNCTION WITH THIRD PARTY SOFTWARE AND YOU ARE REQUIRED TO ENTER INTO LICENSE OR ANY OTHER NECESSARY AGREEMENTS WITH PROVIDERS OF SUCH THIRD PARTY SOFTWARE. The Software may contain or be distributed with third-party software components covered by an open source software license or other third-party software license, and the terms and conditions of this license do not apply to such third-party software. You agree and acknowledge that any applicable third party terms and conditions fully apply to the above-referred third party components. The Software may embed open source code and/or software created and developed under the following copyright: “Poly2Tri Copyright (c) 2009-2010, Poly2Tri Contributors - http://code.google.com/p/poly2tri/”. Applicable License terms for such copyrighted material are available at https://github.com/greenm01/poly2tri. POLY2TRI SOFTWARE ARE PROVIDED BY THE COPYRIGHT HOLDERS AND CONTRIBUTORS "AS IS" AND ANY EXPRESS OR IMPLIED WARRANTIES, INCLUDING, BUT NOT LIMITED TO, THE IMPLIED WARRANTIES OF MERCHANTABILITY AND FITNESS FOR A PARTICULAR PURPOSE ARE DISCLAIMED. IN NO EVENT SHALL THE COPYRIGHT OWNER OR CONTRIBUTORS BE LIABLE FOR ANY DIRECT, INDIRECT, INCIDENTAL, SPECIAL, EXEMPLARY, OR CONSEQUENTIAL DAMAGES (INCLUDING, BUT NOT LIMITED TO, PROCUREMENT OF SUBSTITUTE GOODS OR SERVICES; LOSS OF USE, DATA, OR PROFITS; OR BUSINESS INTERRUPTION) HOWEVER CAUSED AND ON ANY THEORY OF LIABILITY, WHETHER IN CONTRACT, STRICT LIABILITY, OR TORT (INCLUDING NEGLIGENCE OR OTHERWISE) ARISING IN ANY WAY OUT OF THE USE OF THIS SOFTWARE, EVEN IF ADVISED OF THE POSSIBILITY OF SUCH DAMAGE. You may either: • make one copy of the Software solely for backup or archival purposes, or •transfer the Software to a single hard disk, provided you keep the original solely for backup or archival purposes. Such copies must contain all copyright and proprietary notices and legends contained on the original copy. The Licensee shall record the number and location of all copies of the Software and take steps to prevent unauthorized copying. The Licensee shall provide such records to the Company upon request. Licensee may not use, copy, modify, or distribute the Software (electronically or otherwise), or any copy, adaptation, transcription, or merged portion thereof, except as expressly authorized by this Agreement or by further express written Agreement by Motion Boutique. Licensee may not (and shall not permit others to) reverse assemble, reverse engineer, reverse compile, or otherwise translate the Software in any manner except to the extent allowed by article L.122-6-1 of French Intellectual Property Code. Licensee’s rights herein may not be transferred, leased or assigned. The license granted herein permits Licensee to use the Software solely for its own benefit and its own internal business operations. No service bureau work, multiple-user license, or time-sharing arrangement is authorized by the license granted herein. Licensee shall be solely responsible for its use of the Software including ensuring that such complies with all applicable laws, including without limitation data protection and privacy laws. Licensee understands that the Software are not designed to achieve or contribute to Licensee’s compliance with these or other laws or regulations of any jurisdiction. YOU WILL NOT RENT, LEASE, SELL, SUBLICENSE, ASSIGN, OR TRANSFER ITS RIGHTS IN THE SOFTWARE, OR AUTHORIZE ANY PORTION OF THE SOFTWARE TO BE COPIED ONTO ANOTHER INDIVIDUAL OR LEGAL ENTITY’S COMPUTER EXCEPT AS MAY BE EXPRESSLY PERMITTED HEREIN. This Agreement may not be transferred/assigned by Licensee without the prior written consent of Motion Boutique. Motion Boutique may assign this Agreement and/or subcontract its performance hereunder without Licensee’s prior consent. All fees under this Agreement are exclusive of VAT, and you will be responsible for payment of all taxes (other than taxes based on Motion Boutique’s income), fees, duties, and other governmental charges, including sales and use tax, VAT and any related penalties and interest, arising from the payment of fees or other amounts to Motion Boutique under this Agreement or the delivery or license of the Software to you. Licensee will make all payments free and clear of, and without reduction for, any withholding taxes. If a certificate of exemption or similar document is required to exempt Licensee from sales or use tax liability, Licensee shall obtain and furnish to Motion Boutique evidence of such exemption with this Agreement in a form reasonably satisfactory to Motion Boutique. This Section shall not apply to taxes based on Motion Boutique’ net or gross income or payroll taxes with respect to Motion Boutique’ employees. We warrant that for a period of 30 days after delivery of this copy of the Software to you, the Software will substantially perform in accordance with the Documentation. TO THE EXTENT PERMITTED BY APPLICABLE LAW, THE ABOVE LIMITED WARRANTY IS IN LIEU OF ALL OTHER WARRANTIES OR CONDITIONS, EXPRESS OR IMPLIED, AND WE DISCLAIM ANY AND ALL IMPLIED WARRANTIES OR CONDITIONS, INCLUDING ANY IMPLIED WARRANTY OF TITLE, NON-INFRINGEMENT, MERCHANTABILITY OR FITNESS FOR A PARTICULAR PURPOSE, REGARDLESS OF WHETHER WE KNOW OR HAD REASON TO KNOW OF YOUR PARTICULAR NEEDS. NO EMPLOYEE, AGENT, DEALER OR DISTRIBUTOR OF OURS IS AUTHORIZED TO MODIFY THIS LIMITED WARRANTY, NOR TO MAKE ANY ADDITIONAL WARRANTIES. TO THE EXTENT PERMITTED BY LAW, IN NO EVENT MOTION BOUTIQUE WILL BE LIABLE TO YOU FOR ANY DAMAGES, WHETHER CAUSED DIRECTLY OR INDIRECTLY, INCLUDING ANY LOST PROFITS, LOST SAVINGS, OR OTHER DAMAGES ARISING FROM THE USE OF OR THE INABILITY TO USE THE SOFTWARE. NO ACTION, REGARDLESS OF FORM, ARISING OUT OF THIS AGREEMENT MAY BE BROUGHT BY THE LICENSEE MORE THAN ONE (1) YEAR AFTER THE EVENT WHICH GAVE RISE TO THE CAUSE OF ACTION OCCURRED. THIS SECTION WILL SURVIVE THE TERMINATION OF THE AGREEMENT FOR ANY REASON. A party may terminate this Agreement immediately if the other party commits any material breach and fail to cure such default within thirty (30) days after written notice thereof from the non-breaching party; or (ii) to the extent permitted by law, the other party enters bankruptcy proceedings, becomes insolvent, or otherwise becomes generally unable to meet its obligations under this Agreement. Motion Boutique may terminate the Agreement without any other formalities than those set forth hereinafter, if the Licensee commits any breach of the terms of sections 2°, 3°, 6°, 8° to 11° and 16° of the Agreement and fail to cure such default within thirty (30) days after written notice thereof. Notwithstanding anything to the contrary in this Agreement, any termination of this Agreement shall not relieve either party hereto of any of its obligations or liabilities accrued hereunder prior to such termination. On termination for any reason: (a) all rights granted to the Licensee under this Agreement shall cease, (b) the Licensee shall cease all activities authorized by this Agreement, (c) the Licensee shall immediately pay to Motion Boutique any sums due to it under this Agreement; and (d) the Licensee shall immediately cease using and destroy or return to Motion Boutique (at the Motion Boutique’s option) all copies of the Software or any derivatives thereof then in its possession, custody or control and, in the case of destruction, certify to the Company that it has done so. 1. THE AGREEMENT IS THE EXCLUSIVE AGREEMENT BETWEEN YOU AND US CONCERNING THE SOFTWARE AND DOCUMENTATION AND SUPERSEDES ANY AND ALL PRIOR ORAL OR WRITTEN AGREEMENTS, NEGOTIATIONS OR OTHER DEALINGS BETWEEN US CONCERNING THE SOFTWARE. THE AGREEMENT IS COMPOSED OF THE FOLLOWING DOCUMENTS: THIS DOCUMENT AND YOUR INVOICE. IN THE CASE OF A CONTRADICTION BETWEEN THIS DOCUMENT AND THE INVOICE, THIS DOCUMENT WILL PREVAIL OVER THE INVOICE. 2. YOU REPRESENTS AND WARRANTS THAT YOU ARE A PROFESSIONAL USING THE SOFTWARE FOR BUSINESS/EDUCATION PURPOSE. 3. YOU REPRESENTS AND WARRANTS THAT THE EXECUTION AND DELIVERY OF THIS AGREEMENT WILL NOT CONFLICT WITH, OR RESULT IN ANY VIOLATION OR BREACH OF, ANY CONTRACT TO WHICH YOU ARE A PARTY. YOU WILL BE RESPONSIBLE AND SHALL INDEMNIFY MOTION BOUTIQUE FOR ANY LIABILITY AND DAMAGES ARISING FROM USE/MISUSE OF THE SOFTWARE OR BREACH OF THIS AGREEMENT BY YOU, YOUR EMPLOYEES AND (SUB)CONTRACTORS. 4. YOU WARRANT THAT YOU/YOUR SERVICES SHALL COMPLY WITH THE TERMS OF THE AGREEMENT. 5. OF EXPRESS AGREEMENT BETWEEN THE PARTIES AND IN APPLICATION OF ARTICLE 1366 OF THE CIVIL CODE, THE ESTABLISHMENT AND THE EXCHANGE BETWEEN THE PARTIES OF THE AGREEMENT BY ELECTRONIC WAY REALIZES THE AGREEMENT OF THE PARTIES ON THE PERFORMANCE OF THE SERVICES ACCORDING TO THE TERMS OF THE AFOREMENTIONED AGREEMENT. 6. THE AGREEMENT MAY NOT BE MODIFIED OR AMENDED EXCEPT BY A WRITTEN INSTRUMENT EXECUTED BY OR ON BEHALF OF EACH OF THE PARTIES TO THIS AGREEMENT. 7. THIS AGREEMENT WILL BE GOVERNED BY AND CONSTRUED IN ACCORDANCE WITH THE LAWS OF FRANCE. 8. IN THE EVENT OF A DISPUTE OR ALLEGED BREACH OF THIS AGREEMENT, EXPRESS JURISDICTION IS ASSIGNED TO THE COURTS OF PARIS, NOTWITHSTANDING MULTIPLE DEFENDANTS OR THE INTRODUCTION OF THIRD PARTIES, EQUALLY FOR URGENT PROCEEDINGS OR FOR INTERIM, SUMMARY OR EX PARTE PROCEDURES. 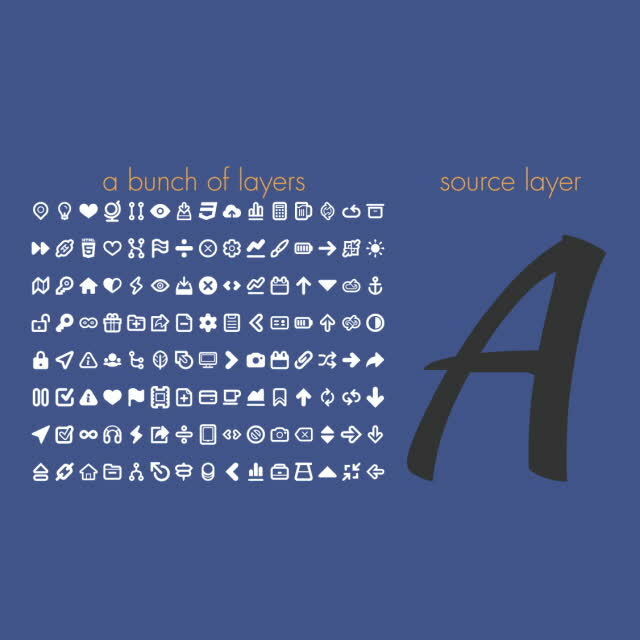 An After Effects plug-in to produce creative layer collages. Def: "A pastiche is an artwork that copies the style of another work or that combines various, distinct styles together into one work." and a bunch of layers to be placed inside that shape. the look of the collage. scale, rotation and opacity of the collage layers. so they morph from one collage to another. 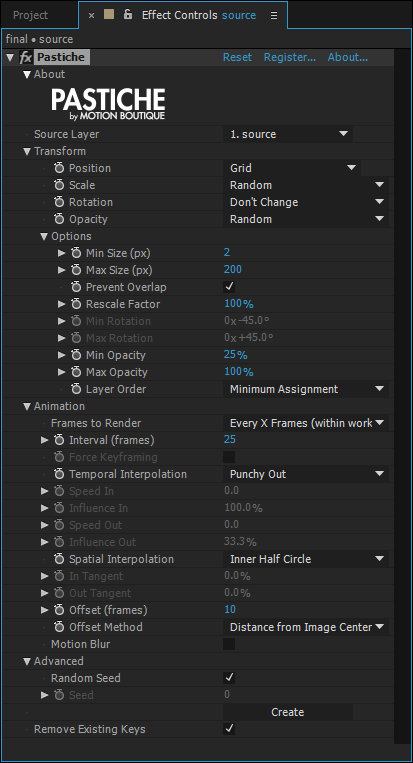 Again, many animation parameters are available. Trial version of Pastiche is limited to 25 layers. Full version has no limitation. 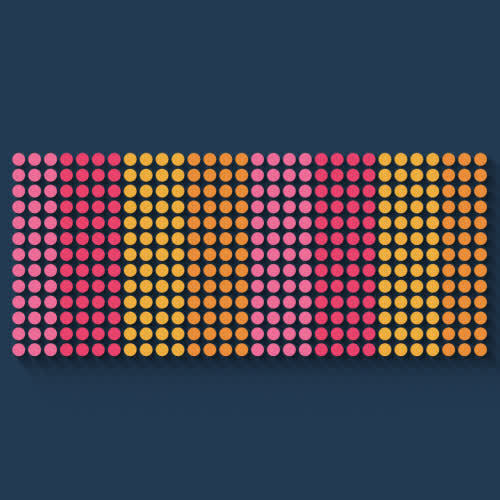 Get LayerGenerators for free when you buy Pastiche. Discount added in cart, must be purchased at same time. 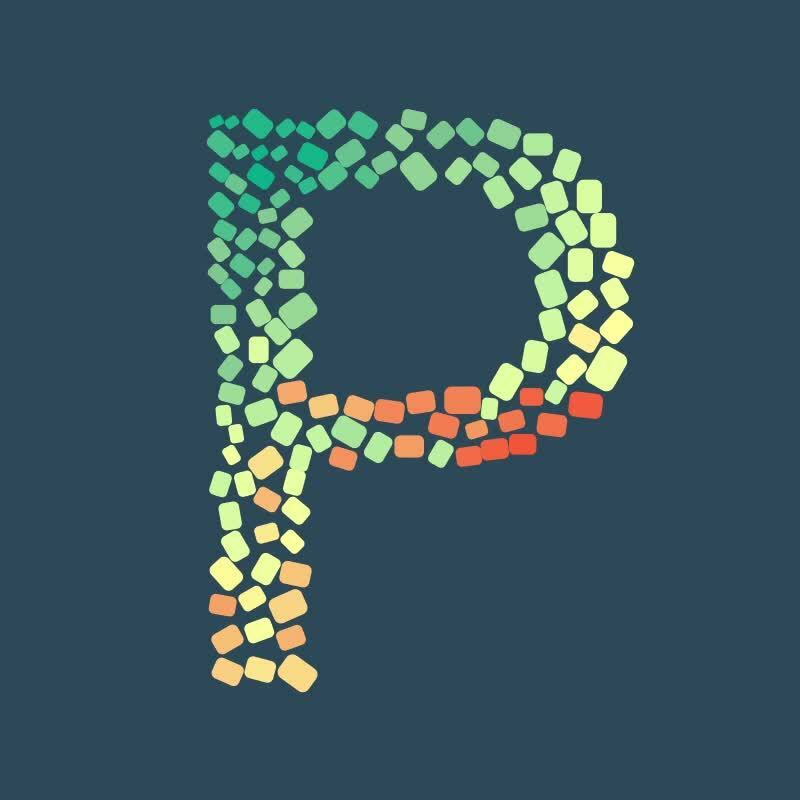 Or if you already purchased Pastiche, you can get it for free on the product page. Split selected layers at their layer markers, or add markers at the cut points of any layers in a comp. Create rope, spanning tree and triangulation in a single click! Fold and unfold any kind of layer in Adobe After Effects painlessly! Turn any text layer into retro ASCII art! Creates colorful and fully controllable animated polygonal lines. It's polyrific! 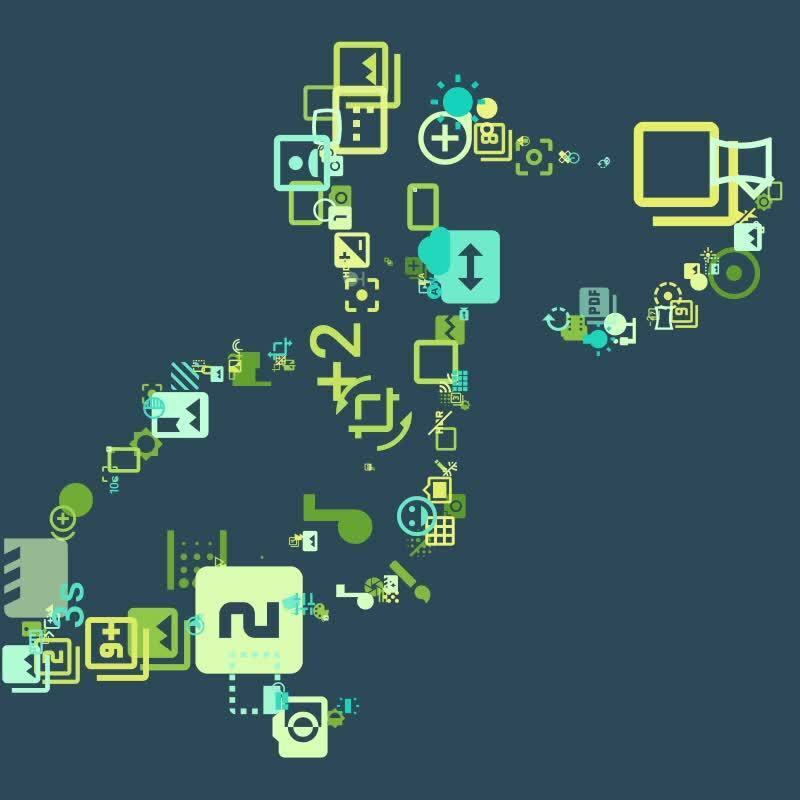 The 2D physics engine for Adobe After Effects. N3 has tons of new features! Newton is discounted 50% for students and faculty.